A COUPLE charged with misappropriating more than K490,000 of state funds was found not guilty by the Waigani National Court yesterday. Justice David Cannings found Helen Ove and Mumbi Kaniku not guilty of using K493,240 for flood-relief food supplies paid into their shipping company’s account to deliver the supplies from Central to Gulf. 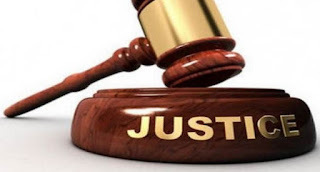 “Both accused must be found not guilty due to the State’s failure to prove beyond reasonable doubt that either of them acted dishonestly.” Justice Cannings said. Justice Cannings found that the evidence did not persuade him that it was a case of fraud or collusion or bribery or some other form of corruption. He said the case was of incompetence of both side. “Incompetence and corruption usually have the same result: the people suffer,” he said. Ove and Kaniku were the only shareholders and directors of the company paid K493,240 on Dec 22, 2014 by the Government in a written contract to ship flood-relief food supplies. Their company failed to ship the supplies, most of the food perished and only a small proportion found its way to the required destination. Ove and Kaniku both pleaded not guilty and a trial was conducted. Lawyer Don Wapu, representing the two accused, said his clients were delighted with the court’s decision. Wapu said main argument in the case was that his clients did not misappropriate the money. He said the fault was with the Gulf government.